How do you know a city that takes pride in itself? It’s often the littlest things. 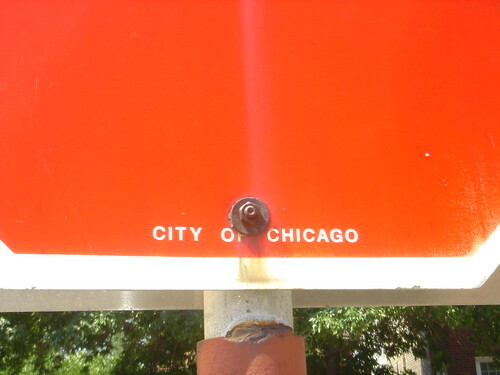 Consider this stop sign from the city of Chicago. At first, this looks like any ordinary stop sign. But take a closer look at the bottom and look at what we see. Chicago obviously get it. And that’s one reason it is a truly world class city. 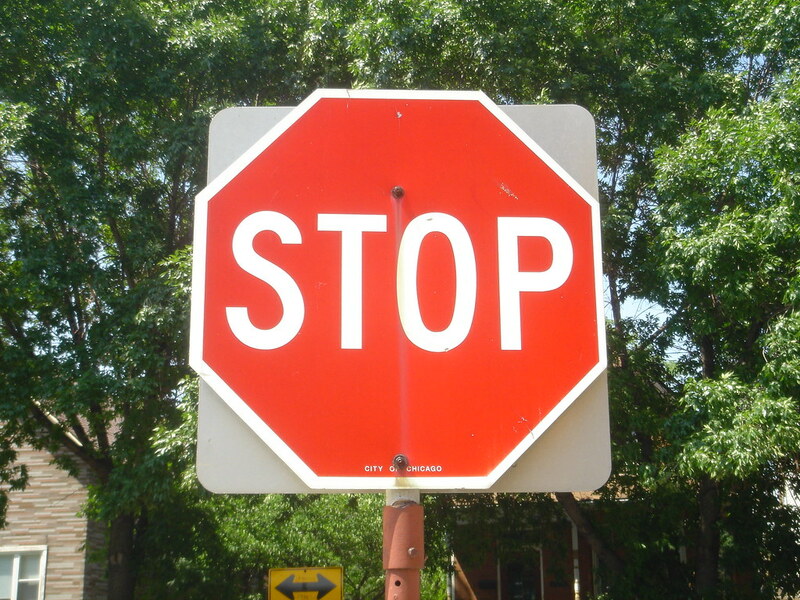 On the flip side, the price is needlessly higher because Chicago’s stop signs are different from everyone else’s in the USA. I don’t think taking the city’s name off the signs to save money would constitute lowering their level of service. Absolutely, and it’s one of the small things you notice when you visit another city. The weird thing about Chicago and Illinois? The Mayor and Governor names on everything. Well, the mayor’s and governor’s name on everything is more about politics, incumbent name recognition, free political advertising (to the candidates, while the taxpayers pick up the tab, e.g. new tollway signs with governor’s name cost $15K each!). And I suspect the city’s name on street signs has more to do with establishing ownership than pride of place. Well, I’m not a huge fan of slapping a mayor or governor’s name on everything, but you all are right, Chicago does it. thunder, I speculate that Chicago makes their signs in house and/or orders in such volumes that there is no real price difference. Lynn, that may be on the ownership, but I’ve yet to run across another city that does this. Does anyone know of one? I assumed that they probably have an in-house sign-making function, an anachronism in this day and age of digital reproduction and a sign shop in every strip mall. In an era when one of the biggest municipal costs is employee benefits and pensions, outsourcing makes a lot of sense. Except maybe in Chicago. Patronage vs. pay-to-play…choose your poison. Which is more efficient? I agree with your point, Urbanophile, but this is kind of a stretch. Like another poster said, if they didn’t do that, half their inventory would walk away. I doubt anybody was thinking about pride of place when they decided to put the name on their signs. I disagree. 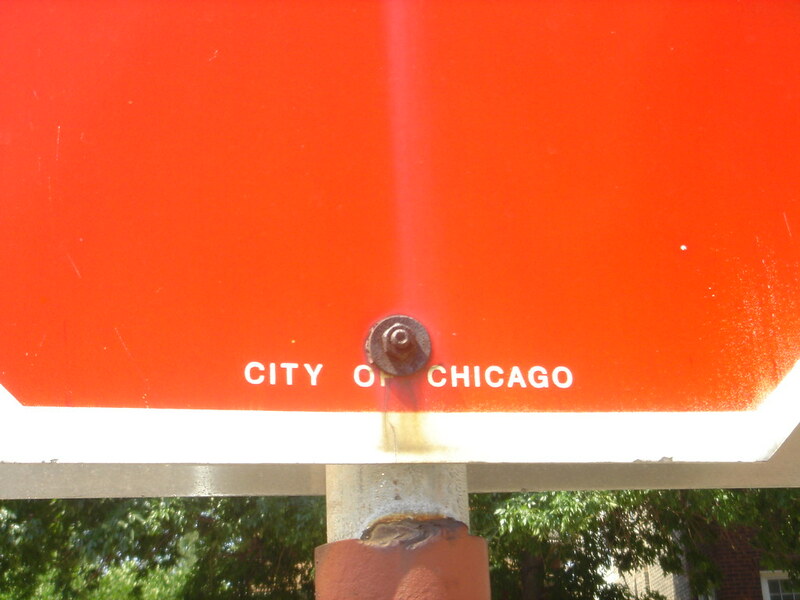 I love Chicago, but I think it’s more of a sign of a heavy-handed government than community pride. Thunder, you must not understand how Chicago works. All those extra jobs aren’t a bug, they’re a feature! I honestly don’t know why Chicago does this. Perhaps it is inventory control. But isn’t it amazing that when Chicago does things for ostensibly business reasons, it ends up sending things in a positive direction, when in so many places it sends it the other way? I’ve also still never observed this elsewhere, though admit to not always looking closely at signs. Are there other cities that do it? This reminds me of a something I recall seeing in the past but is almost nowhere to be found nowadays… Do you remember when interstate signs in Indiana used to have the state name just above the route number? PJ, what a perfect example of what I’m talking about. Interstate signs in EVERY state used to have the state name on ’em. Not sure when that changed…maybe in the last round of “infrastructure rebuilding” (i.e. interstate highway reconstruction) in the 90’s? The weird thing about Chicago and Illinois? The Mayor and Governor names on everything. My guess is that Chicago is secure enough in its superiority that it doesn’t mind putting its dirty laundry in plain view. I was perhaps too cryptic: I understand how patronage works and why. I understand that sometimes city employees or pols steer outsourced contracts to someone (pay to play). I understand that both kinds of corruption have been elevated to a fine art in Chicago. Add in aldermanic privilege and municipal unions, and it probably doesn’t matter which way a simple thing like make vs. buy on STOP signs goes. Someone will find a way to make money or pay political debts from the making OR the buying of the signs.